On my blog, I review only local restaurants. But I make special exceptions for restaurants that cause a buzz: Tilted Kilt, Five Guys and Taziki's in Morgantown. 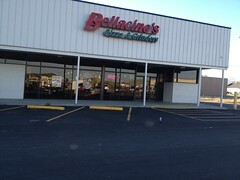 Also, I went to Bellacino's in Bluefield, Va., a long time ago before I really knew it was a chain. 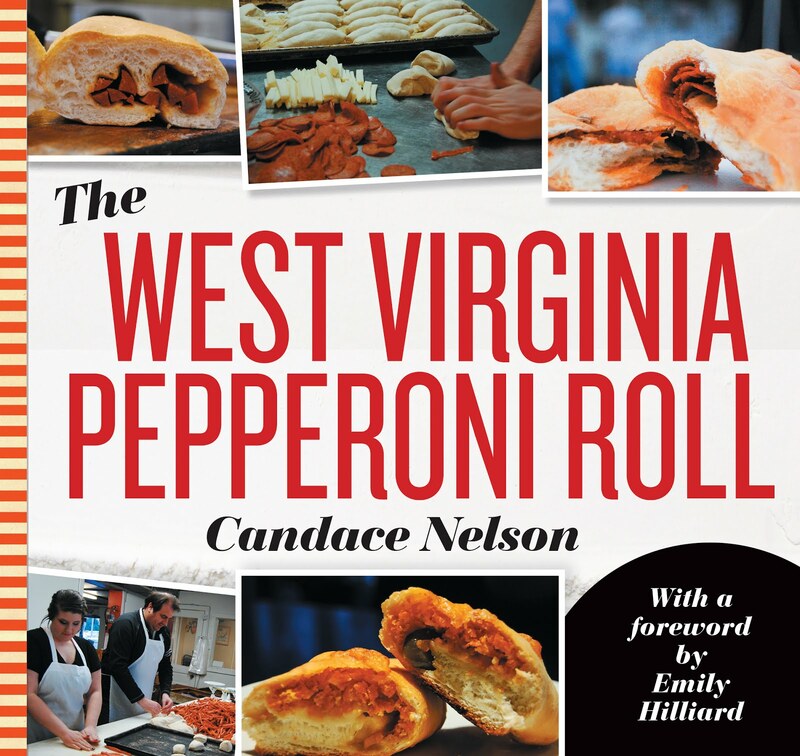 Since I reviewed them once (and there aren't many in West Virginia), I figured I could do the same for the new restaurant in Princeton. It's located along Stafford Drive in the plaza with Rose's. There aren't many counter-service restaurants in Princeton beyond McDonalds, Burger King, etc. So I was excited because I usually try to find a place like this and set up shop. It's a decent-sized building with an aisle down the middle and two dining areas, essentially. 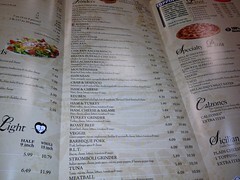 I walked up to find a menu and gave it a quick look. I ordered a calzone with meatballs and mushrooms and took a seat. When I opened my computer, I saw they had WiFi! Joy! I walked back up to the counter to ask the password. A worker looked puzzled then went to ask the manager. The manager looked back at me and shook her head. "It's only for people who rent out the banquet room" - what? I can't use your WiFi if I'm just dining it? I have to use the banquet hall? Joke. 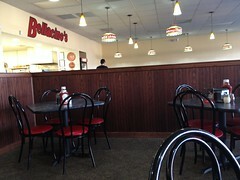 I was the only one even in the restaurant! 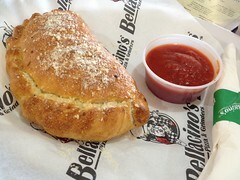 When my calzone came out, I was happy with it. Except it wasn't meatball - more like random shredded Italian-seasoned meat. But overall not bad. Lots of mushrooms, and I liked the tangy tomato sauce. This would be a place I'd go to all the time to get some work done, if only they weren't so stingy with the WiFi.